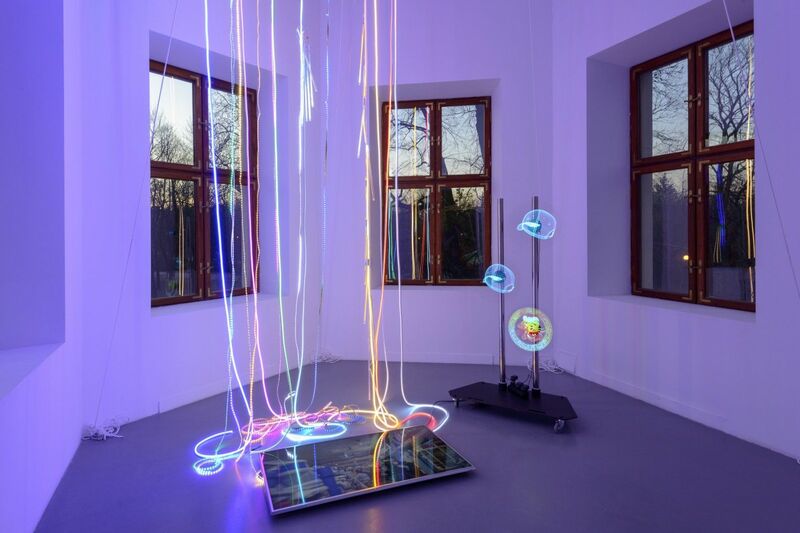 In 2015, Janek Simon fabricated at home a 3-D printed retrospective of his work with many abstract patterns,which organized his many interests and passions: from globalization and political geography, through artificial intelligence, financial speculations, DIY strategies,postcolonial theories, to the most recent one: synthetic folklore. 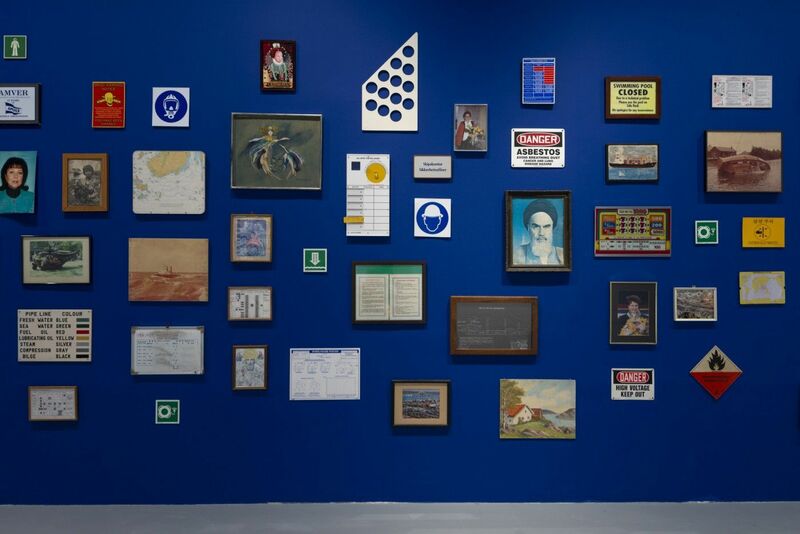 Like that relief, this exhibition maps and decodes the last fifteen years of the artist’s work. It features a collection of paintings recovered from a ship graveyard in India, a visualization of the Polish national budget, new works on psychedelia and AI, a little house from his childhood built with incorrect measurements, as well as a documentation of the artist’s curatorial and community work. The exhibition is multilayered and can be viewed, read, and experienced in a number of ways: as a voyage, an essay, an algorithm,or an abstract picture. 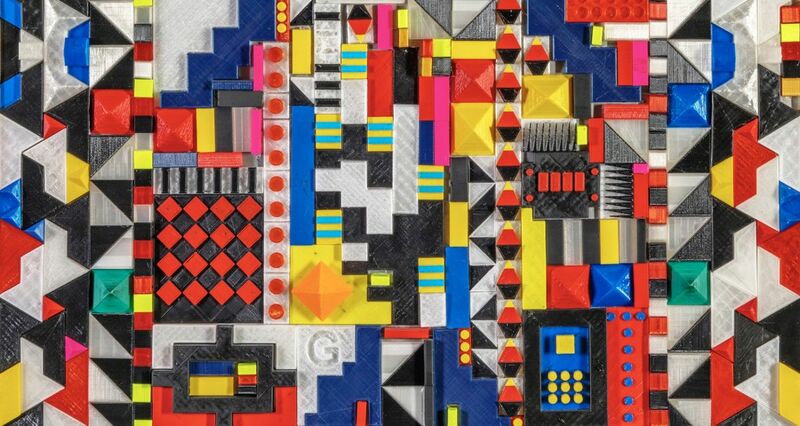 It opens with the eponymous world of synthetic folklore, with sculptures and mosaics from ethnic forms, their abstract patterns generated by algorithms combining motifs from India, Africa,South America, Europe, and Poland. Tradition and culture are not homogeneous, but rather produced collectively through complex processes of exchange and appropriation. Synthetic folklore raises questions about whether and how AI can protect us from the pitfalls of homogenization, xenophobia, and essentialism. Can we imagine a new universalism in an era of identity politics? Cultural geography is another of Simon’s recurring themes. What does it really mean that something is far or near? Flying from Warsaw to New Delhi takes ten hours, as long as a trip to a remote village in the Bieszczady Mountains. Space is defined not only by transport technologies and cartography, but by economic interests, politics, or anthropogeography.Janek tests his own methods of spatial research, based on minutes,narratives, privilege, or spatiotemporal compression rather than kilometers or miles. 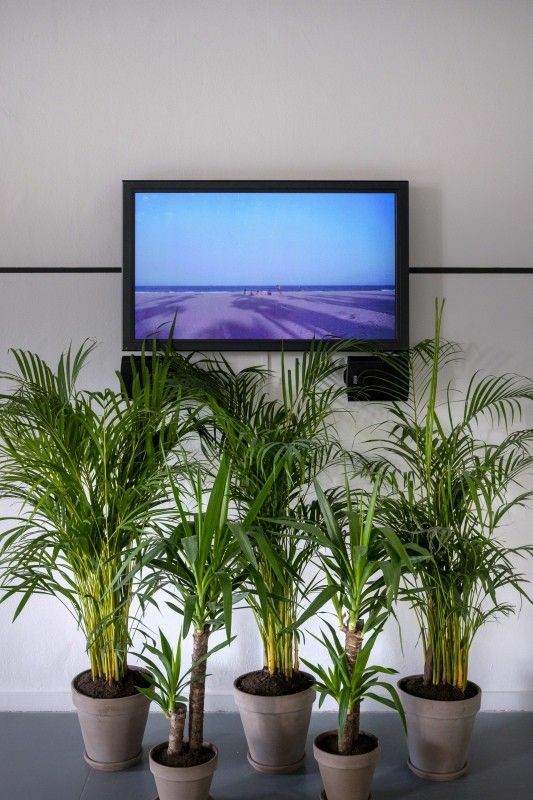 Another series of works deals with the migration of electronic good around the world and the global circulation of matter: from their birth in the Chinese Silicon Valley of Shenzen, where iPhones are manufactured,to their death at the Alaba e-junkyard in Lagos, Nigeria, home to Nollywood cinema. Many of the works critically engage with the history of Poland, such as Project 1985, with the argument that communism ended with the rise of street commerce, videotapes, satellite TV, and economic liberalization. Repressed Polish colonial aspirations, returning today in chimeras of regional hegemony, mass-use inland waterways, and the Intermarium concept, are represented in the series The Sea. Moreover,the exhibition features the psychedelic room, with a little house from the artist’s childhood, where the utopia of cybernetics meets the dystopia of techno-liberalism. Robotic bread creeps on the floor amid all this. The retrospective follows Janek Simon’s paths, presenting, so comprehensively for the first time, his fascinating work and life, driven, as they are, by curiosity, erudition, and love of adventure, supported from time to time by institutions such as the Centre for Contemporary Art Ujazdowski Castle, where it is staged.